Stay cool and dry during your runs with lightweight and comfortable women's running tank tops from Gone For a Run. Choose from a variety of customizable designs that pair perfectly with running shorts or a casual pair of pants. Our original performance tank top designs are fun, stylish and playful. We also emblazon some of our running apparel with motivational sayings to give any runner the extra push they need. 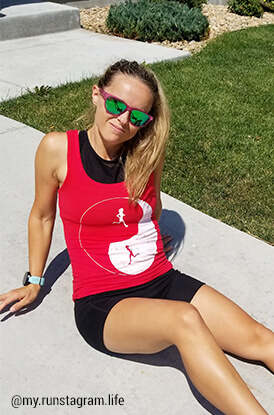 Wear these cool and stylish tank tops for runners during the heat of the spring and summer, or as part of a layered outfit during cooler months. There are running tank tops for every style in our collection. Our fitted tanks are great for those who like a snug fit while our relaxed fit runner's tanks offer more air flow. Vintage fitted tank tops offer styles that are reminiscent of the past and half tank tops feature shorter cuts. Each runner's tank top style comes in several colors. Choose from options such as neon yellow tank tops, pink flowy tank tops and fitted black tank tops. This women's running clothing is also completely customizable. Many of our tank tops are printed to order and can be personalized with a name, race distance or other text of your choice. 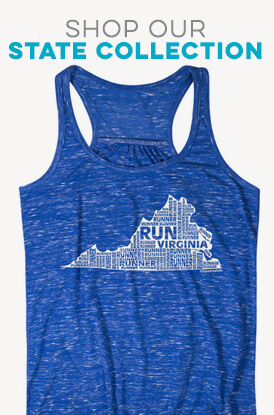 Customize a running tank top for yourself or as a gift for your favorite runner. 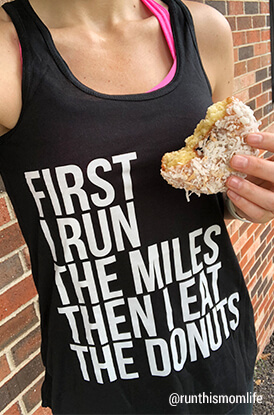 Our extensive selection of women's running tanks includes many different fun sayings and designs that will help you show off your individual personality. We carry race tanks with run mantras on them and other motivational sayings. There are cute and girly tanks with hearts, glitter and foil. Others are personalized with different professions or inspired by dogs and other pets. We have a selection of tanks that bear race distances so that, once you've completed that first marathon, half marathon or other race, you can wear it proudly as you run. Rep your home city or the city that hosts your favorite race with our selection of race city tank tops. We even offer a collection of holiday-inspired runner's tanks for a more festive outfit during holiday races.